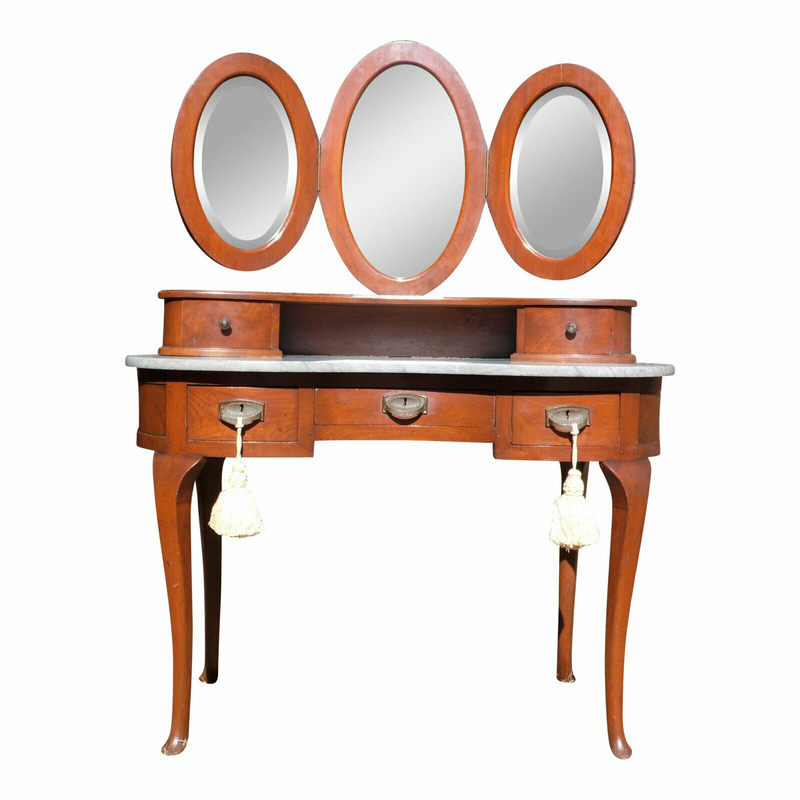 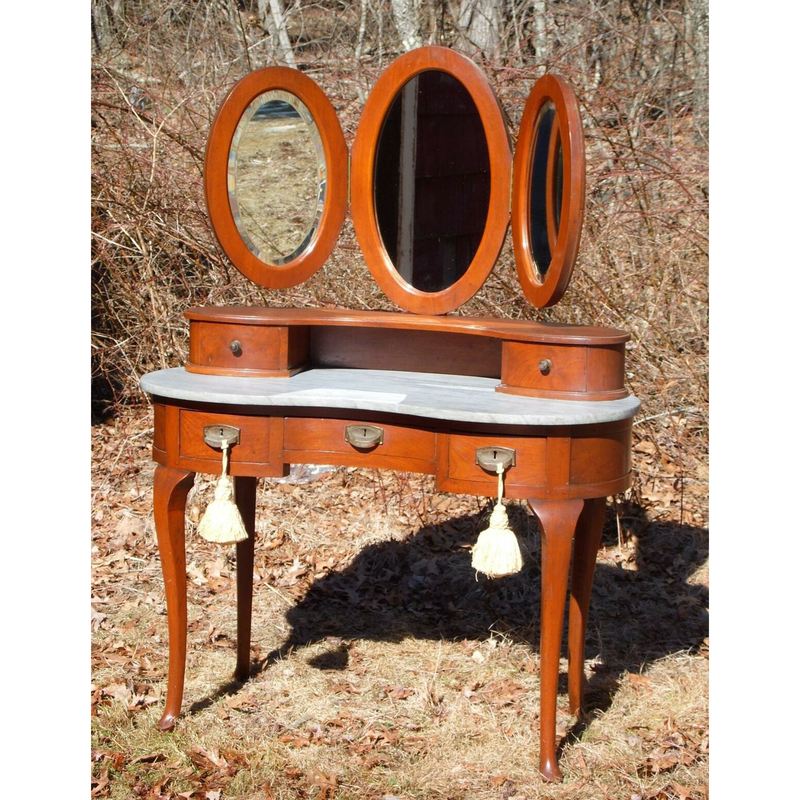 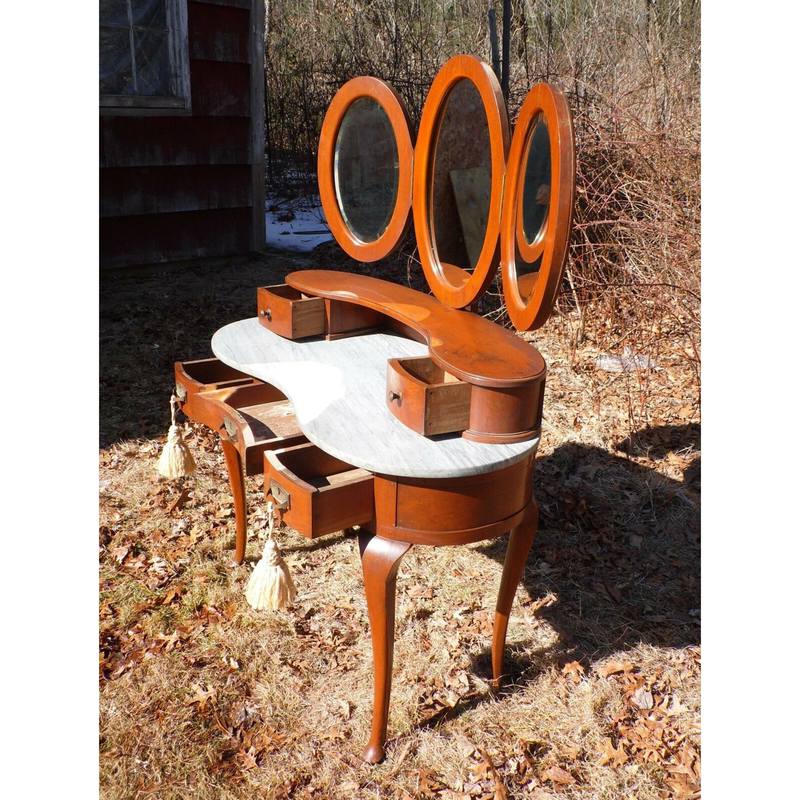 Antique French Louis XVI Regency Style Desk / Vanity / Dressing Table has three framed adjustable oval mirrors that float above a kidney shaped base topped by marble and supported by Queen Anne style cabriole legs that terminate in delicate pad feet. 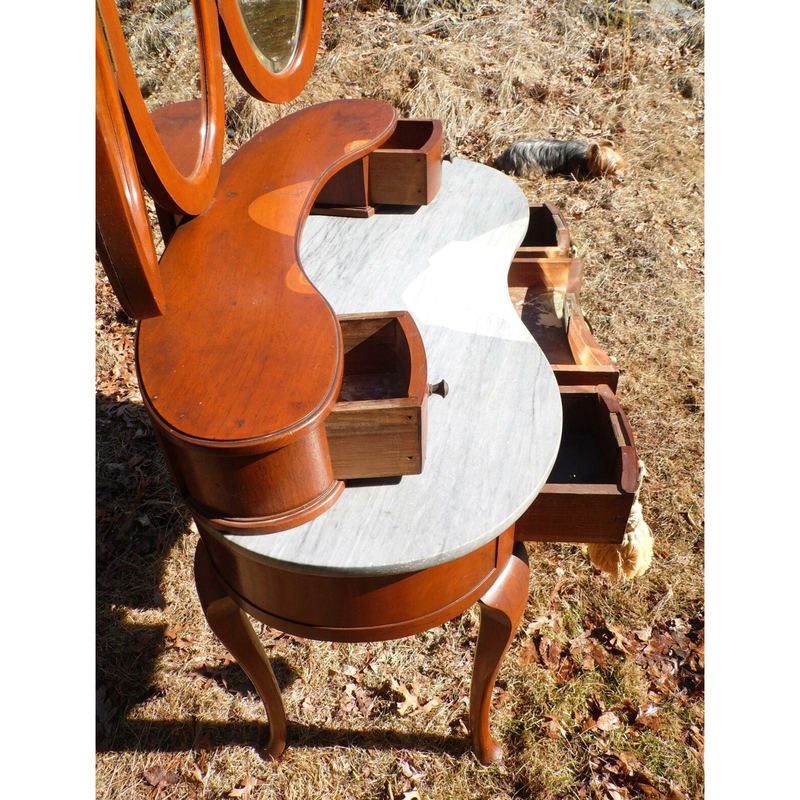 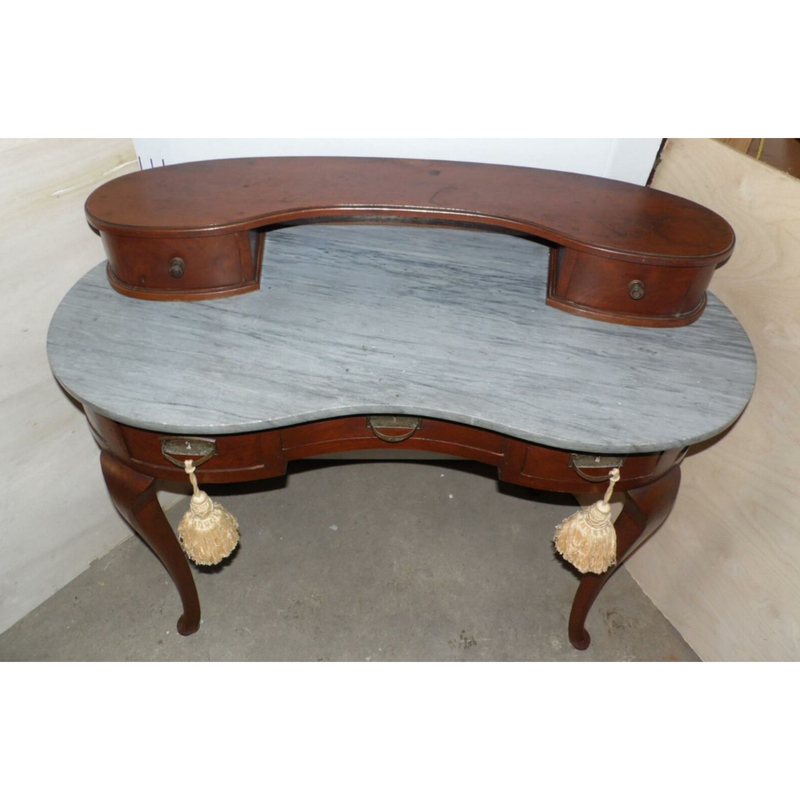 The base has 3 curved dovetailed drawers, two of which are adorned with large tassels, and a smaller kidney top with 2 drawers above the marble. 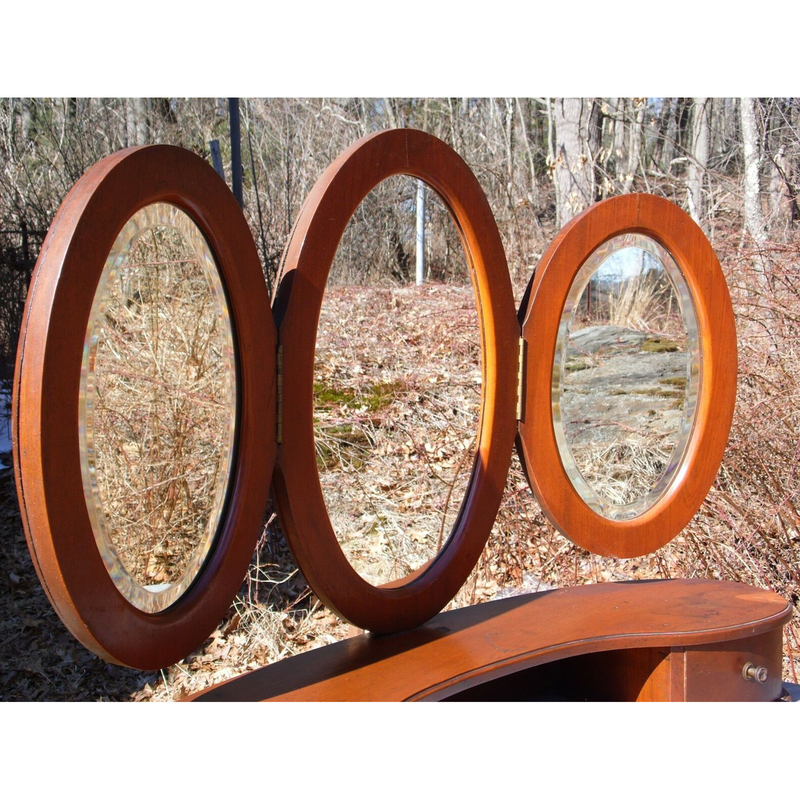 Features Solid Walnut construction and beautiful hand crafted pulls.